After some debate in the working group stages, the Consumer Electronics Association’s Board of Industry Leaders unanimously selected “Ultra High-Definition or Ultra HD” as the official name going forward for all next-generation video displays with so-called “4K” resolution capability. See the full Twice article here. In our opinion, Ultra HD is the perfect name choice, as 4K delivers over 3 times the video resolution of 1080p HD quality we are enjoying today. Now, once the industry works out the delivery format, standards and specifications for content, video connoisseurs should be thrilled with the results! We are really excited about the potential of Ultra HD for projection rooms in particular. Combine the increased resolution with a display such as the Red Digital laser projector, which is almost to market as we speak, and you are talking unbelievable value and performance. 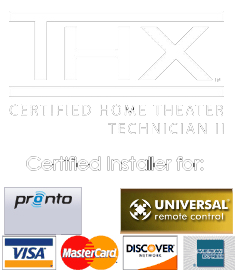 At Theater Design, we are already working to make sure our current home theater builds are 4K compatible so upgrading to the new tech will be a cinch for our clients when they wish to do so.